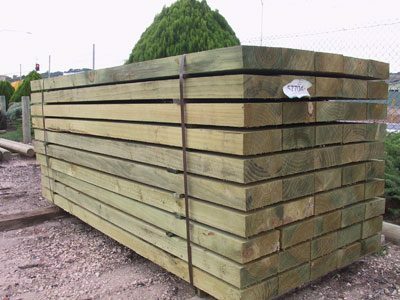 We keep in stock concrete, treated pine, eco wood, hardwood and used sleepers. 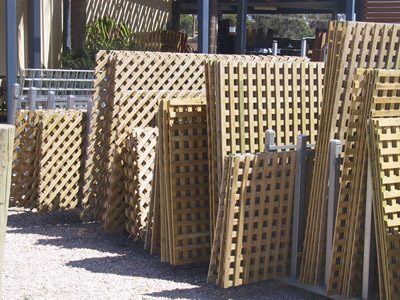 We are known all over Adelaide for our great range of sleepers. 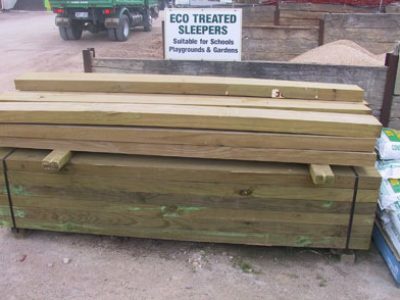 Our sleepers are suitable for all types of jobs in the building and landscaping industry. If it is a structural retaining wall you are building, a raised veggie garden or just some edging along the driveway some of our sleepers will do the job. 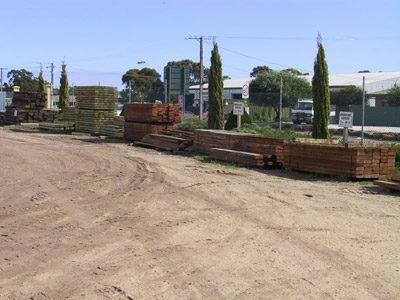 Choose from Treated Pine, Queensland Hardwood, Concrete or used railway. 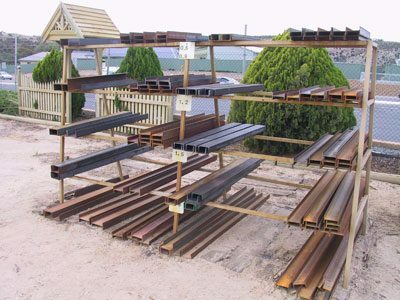 To compliment our range of sleepers we also sell retaining wall steel in cut lengths (RSJ and C channel – 125 x 65, 100 x 50). We also have steel Rio pins, and steel droppers. 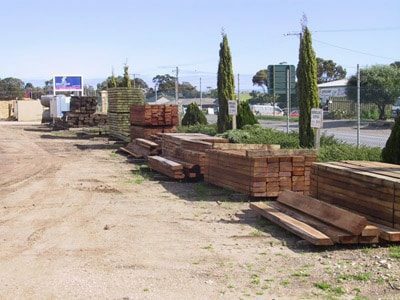 Read here about the safe handling procedures for treated timber. 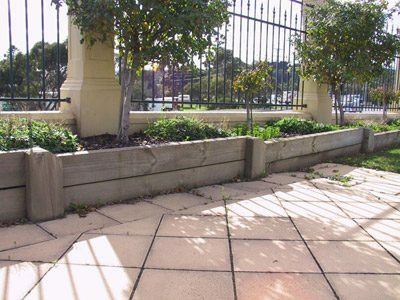 Treated pine sleepers are great for wet areas & termite protection. These are hard to find but we can generally get hold of them. Size, length, and quantity are never certain so it pays to keep a regular check on them to see what’s coming through. * We can offer great discounts for buying pack quantaties. * Don’t see a size here that suits you? Contact us. If you need a pack or bulk quantity access to a whole range of different lengths and sizes we may be able to source what you are looking for. 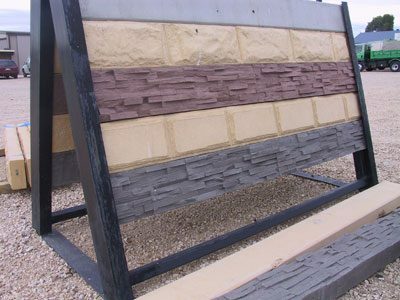 We keep a small range of concrete sleepers in stock for those weekend jobs, during the week we can arrange factory pick ups to save on freight charges. We are agents for outback sleepers and have access to their entire range. We can take care of anything you need for your retaining wall project. 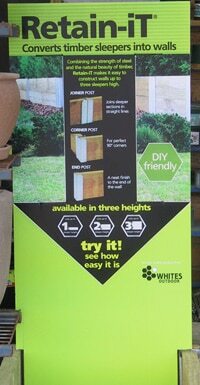 Retain It – Handy DIY retaining wall, edging or garden bed system!! 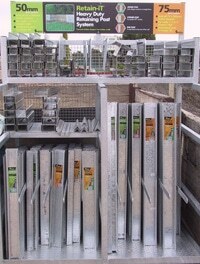 Galvanized retaining wall joining sections available for straight joins and corners, 50mm or 75mm sleepers. Call us or send an e-mail if you would like more information.